More than 200 articles, 12 books, innumerable awards … for an academic, a list like that indicates success by most any definition. It's certainly true for Jagdish "Jag" Sheth and perhaps to be expected of the Charles H. Kellstadt Professor of Marketing. Unexpected, however, is Sheth already had that list of accomplishments to his name 15 years ago. Today, Sheth continues a trajectory of success defined through accolades, delineated by learning and punctuated by professorships. "Even in his down time, he’s watching people and looking at store shelves to figure out why they are configured the way they are..."
Sheth is inspired and motivated by discovering new knowledge in what can only be termed as ceaseless research. “He challenges himself to make predictions, and he reads broadly in a variety of disciplines,” said Reshma Shah, Sheth’s daughter. Sheth's obsession with learning has always been the driving force behind his work. He's particularly taken with the Chinese saying: "When the student is ready, the teacher will appear," meaning, as he interprets it, "you can learn from anyone." He has a passion to see the world and to experience its disparate cultures. While this pushes him to travel, he's very clear family comes first. For Sheth, that means being a good provider, even if it demands working an extra job. Providing for his family also means supporting his children through their graduate education and doctorates. "Gandhi taught me to stand up for what is right with determination and sacrifice..."
He is also an inspiring individual in his own right. But like most admirable leaders, Sheth has found inspiration in others, three individuals in particular: Mahatma Gandhi, the psychologist Abraham Maslow, and John A. Howard, Sheth's adviser and mentor. “Gandhi taught me to stand up for what is right with determination and sacrifice,” Sheth said. Maslow's theory of the hierarchy of needs served as inspiration for Sheth's doctoral studies in behavioral sciences, in which he generalized and expanded the theory from individuals to nations. Howard's drive to learn from others, including his own students, helped Sheth think differently about learning: not only how but also from whom we learn. That mindset serves Sheth well still today. Closer to the heart, Sheth draws his inspiration from his five siblings, all elder. They provided the values and aspirations to study, to grow, to do better. In particular, his second brother was a scholar of Jainism and strongly encouraged Sheth to continue to study, which was unusual since Sheth came from the merchant community where education is not emphasized. He believes all of us are ordinary people with extraordinary potential, citing himself as living proof, and seeks to help others unlock that potential. Both nations provided opportunity. Free education in India allowed him to learn English, which gave him the mobility to relocate to the U.S. Here, academic institutions — most notably Goizueta — families, and individuals provided the opportunity to study, grow and contribute. It's a simple question that Sheth answers with a similarly simple truth: “Giving back while you are alive is more enjoyable than after you are dead.” It provides purpose and fills his life with meaning. His wife, Madhu, has been instrumentally supportive as Sheth has sought to give back, particularly to Emory and Atlanta. A hallmark of the Sheth family is giving back, which Jag and his wife do through funding the Sheth Fellows from the PhD program. "I was born in Burma as a minority, grew up in Chennai as a minority and have a meaningful life in America as a minority..."
Professionally and personally, the life Sheth has led, and still leads, isn't the life he envisioned for himself. In fact, according to him, "it happened accidentally." In the mind's eye of a young Jagdish, there was a vision of a life quite apart from the Sheth of today. Circumstances and influences along the way, however, steered him in a different direction. His autobiography is aptly titled “The Accidental Scholar.” And while his role as a scholar is the result of a series of so-called accidents, he said "it's the best thing that has ever happened … besides marry [his] wife." "I came [to Goizueta] at the right time," Sheth said, "because Emory had just decided to invest in professional graduate programs like full-time MBA, the Executive MBA, and so forth." This initiative attracted John Robson and Ron Franks who brought in significant leadership and senior faculty. When Sheth joined the marketing department, he recruited several bright young people and focused on the emerging area of relationship marketing. In a short time, Goizueta ranked among the top 10 schools for marketing. 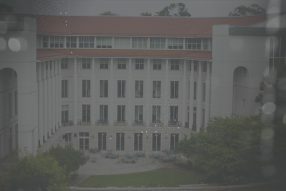 It was in this era that Goizueta took on its name and moved into a new state-of-the-art building, from which Goizueta came into its own. "Today is an exciting time as we are fully integrated and involved with the Atlanta Community under the leadership of Dean James," Sheth said. It is fitting to work in a community as diverse as Atlanta because, unknown to most, Sheth has experienced much of his life as a minority. "I was born in Burma as a minority, grew up in Chennai as a minority and have a meaningful life in America as a minority," he said. "Going beyond to me means principled leadership and giving back..."
Sheth makes sure to share culture with students and faculty, hosting an annual Diwali celebration. Sheth is no stranger to strange lands, or moving among them for that matter. As a youth, Sheth was a refugee when his family fled after the invasion of Burma in 1941. Upon returning to India, his father lost the family business in the process. Even after several geographical relocations outside the U.S., Sheth's life as a young academic (and young husband) took him to many new cities. “I think dislocations in life are good if you survive them,” he said, perhaps reflecting an optimistic mindset. “They build character and inner strength.” These experiences as well have nurtured in him the desire to care and to give back.